Today I’d like to introduce you to someone special… my sister-in-law, Lynne. I think we’ll call her the “restaurant reviewer”. She and my brother always find the most interesting places to eat. I keep telling them that they need to start a food blog! But until they do, I’ve asked her to contribute articles here. 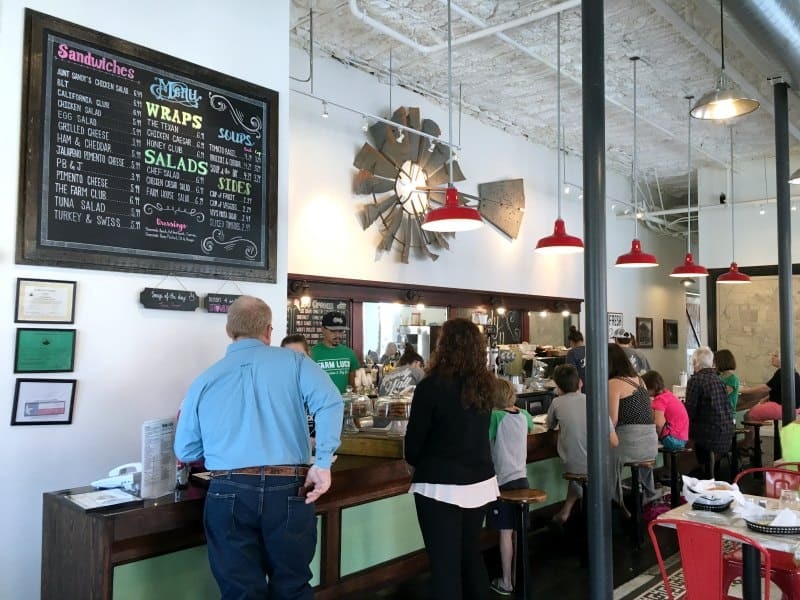 These will mostly focus on places to get a good lunch while you’re out hitting the flea markets, garage sales, and antique shops. 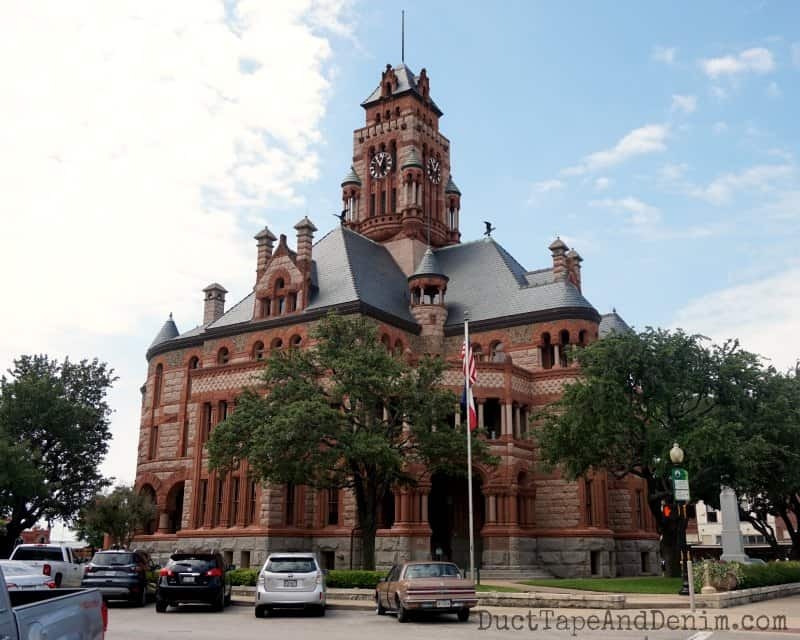 On this day we were planning a shopping/photography trip to Waxahachie, Texas. Remember, I was a vendor at the Central Texas Vintage Market Days there last year. And there are LOTS of amazing shops all around the square downtown. 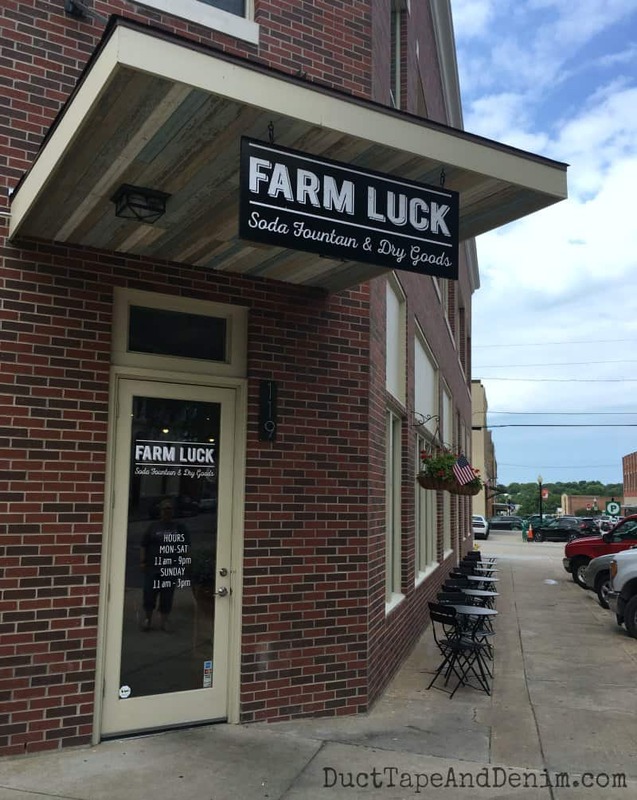 But our first stop was Farm Luck Soda Fountain & Dry Goods for sustenance before an afternoon of shopping and exploring. So here’s Lynne’s first restaurant review for DT&D. 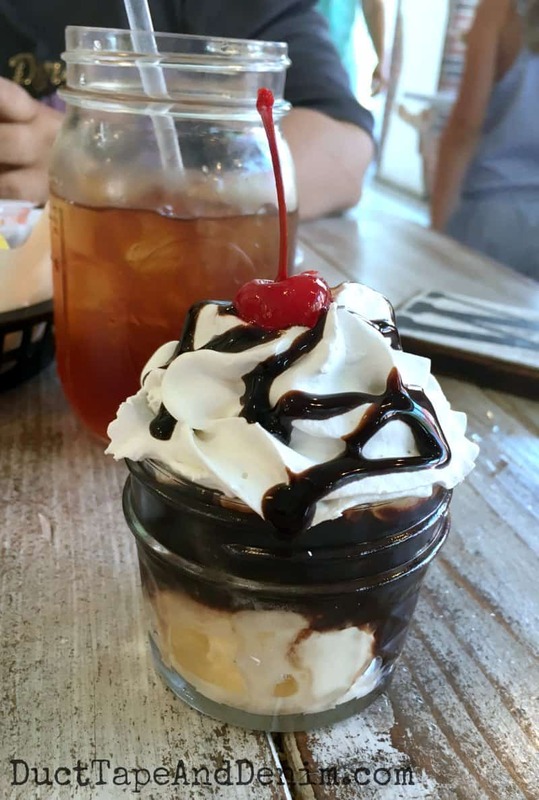 Today I tried a spot in Waxahachie, Texas, that I‘ve heard about several times — Farm Luck Soda Fountain. It’s located on the corner of the square across from the courthouse. It’s a small place but atmosphere is all over the place. I loved the feel of it! 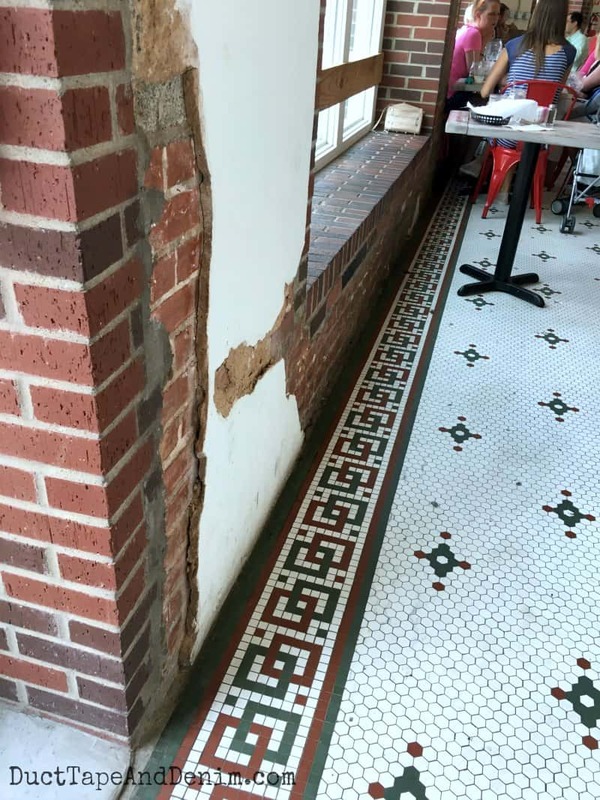 The original tiles and brick helped to make it look as though it had been there for years. There was a counter where you could sit and watch them make their ice cream treats and assemble the various sandwiches and salads. I chose the Texan Wrap. It was a fresh wheat tortilla filled with shredded cheese, fresh jalapenos, a succulent tender chicken breast, and homemade ranch. It was very filling and had a tangy spicy flavor without being overwhelming. It was served with tortilla chips and homemade salsa. The food is simple but quite delicious. 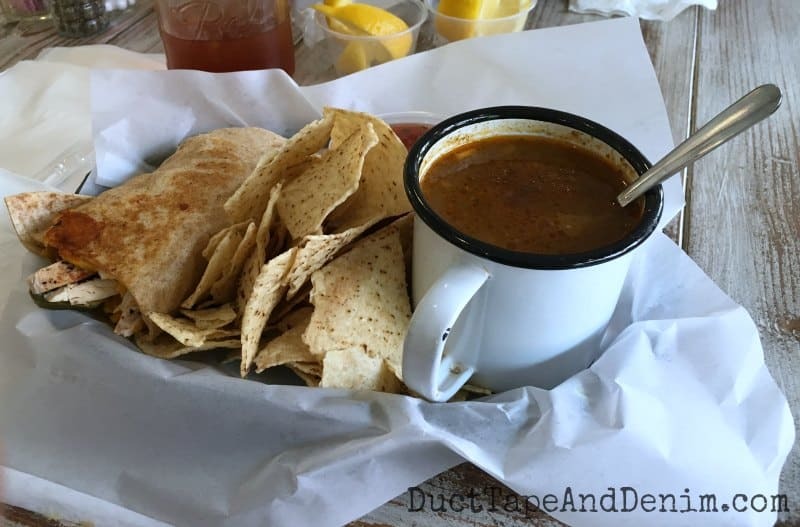 This was Ann’s lunch – half a Texan wrap and a cup of taco soup. I highly recommend this place for lunch before hitting the multitude of antique stores and unique shops around the square. 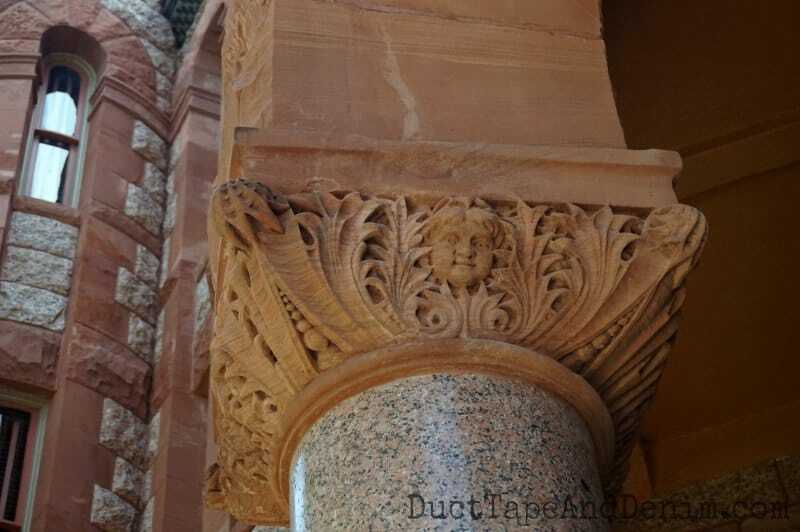 (Ann again…) And while you’re there, don’t miss getting some shots of the beautiful old courthouse! Look for the “hidden” faces! Have you been shopping in Waxahachie? Leave a comment and let me know your favorite places.